This is for the graduates of 2018- consider this your graduation card. Don’t shake it because I did not insert any cash. I did not receive my invitation to the events, but I did make the swap to a post office box this year, and I probably forgot to forward you the new address. It’s cool. Graduation. Off to college, trade school, the military, a new job, or a road trip across America. I would personally opt for the latter. Let it be known that I have never been a true conformist. I think random travel with very few plans is the best thing for a headache. And believe me, the headaches are about to begin. We know that high school is difficult. The thing is, as time goes by, you will look back and remember how great it was to have most of your days planned out for you. A list of classes and break times. Practice for sports or drama or whatever other sanctioned or unsanctioned endeavors you were involved in. Ten years from now it will be remembered as a pretty good gig. Right now? Not so much. You probably can hear the song, “I Believe I Can Fly?” The sad news is that it is not true. You can’t. The song was overplayed anyway. The truth is, you are going to really muck around a lot. I know that you think there are all kinds of fellow youth and adults who have it all figured out, no problems, no issues, and perfect lives. This is just not the case. The people that you believe have perfect lives are sitting around this weekend thinking exactly like you are. It is a cruel joke which the human mind plays on all of us. No one has it perfect. No one has it all figured out. If someone says that they do, nod your head up and down and humor them -often those who say they have never been happier are not being entirely truthful. The power of positive thinking is actually a valid strategy to get through life. Don’t underestimate it, but don’t be afraid to ask for help. Let me give you a few tips. You might never listen to me if you ran into me at a graduation party because I would be eating too much onion dip and might (would) have residue of your aunt’s ambrosia salad stuck to the lapel of my leisure suit. Google -leisure suit- and make sure to select images. It will help you become more accepting of others. 1. Gather up two- twenty dollar bills, two- ten dollar bills, and two- five dollar bills. Throw some one dollar bills in there as well. Overtipping is sometimes caused by poor planning and only having a ten-spot when you should have had four George Washingtons. Fold them very tightly and stuff them somewhere accessible. Not too accessible. Debit cards are fine but American cash will cajole someone to pull you out of a ditch, help get you get a cab, purchase pizza, a bottle of water from a vendor, or a great concert tee shirt. It’s also nice to help someone who is down and out with cash. You’ll feel better, but don’t pull it all out in an alley in order to show your benevolence. This might get you robbed. It is best to keep that cash for an emergency- not for day to day expenses. Try to “almost” forget that you have it. It gives you confidence when the power goes out and ATMs don’t work. This will happen, you will have cash. American cash works very well. Go ahead, fold up a few Rubles and try to use that at the Piggly-Wiggly -you will thank me later. 2. Learn to check your own oil, windshield washer fluid, and the air pressure in your tires. Make sure you can change your own flat tire in low light and wet conditions. It will be dark and raining when you have to do it. When unscrupulous individuals are asked for help in some situations; they might try to take advantage of you. Better that you can do this on your own. Hey! Check to see that you have a spare tire in the first place. Poor planning precipitates predicaments which could have easily been previously predicted, and proper preparation propels people to a pleasantly proud place upon a precipice. Oh yeah, practice writing alliteration. Put it in college papers- professors like it. Well, some don’t but as long as you are enjoying yourself, it’s a win. If you think people are only trying to screw you over through the Internet and annoying high pressure phone calls, think again. It has been going on (in person) for years. This is why I still have a job -people try to steal from you in many, many ways. 3. Hug your parents. It’s embarrassing sometimes, but just do it. Give your mother and/or father a kiss. Tell them that you love them. If you can do this in front of all your friends, you will be able to speak in public when the time comes. If someone makes fun of you for this -delete them from your friend’s list. 4. Learn to speak in front of groups. Hugging your parents in public will help you overcome the fear of public speaking. Public speaking will help you throughout the rest of your life. Ask around, I know what I am talking about. I once gave a three-minute speech on the word,”thumb.” It went over well. True story. 5. When someone says, trust me -back away slowly and reassess the situation. As a police officer with hundreds of interviews under my belt, here are a couple more phrases for you to remain cognizant of. Also, these gems: “I’ll be right out,” “To tell you the truth,” “I don’t want to lie to you,” and “I think that’s all” (this is always a lie). You get the idea. Be careful and don’t trust everyone. Not everyone is worthy of your trust. Pay attention and surround yourself with people you do trust. 6. Treat people kindly. Look for people who need your help, not just people that ask for help. Sometimes the people that need the help the most will not ask anyone. Pay attention. 7. When you meet someone for the first time and you don’t like them at all (this will happen) give them another chance. Some of my favorite people in the entire world are individuals that I did not like (at all) when I first met them. Most of my best friends did not like me at first. I fully understand. Some of them still have valid concerns. 8. Finally, treat the people that do the less desirable jobs better than the people doing the seemingly desirable jobs. Those are the people that make the rest of the world worth living in. Trust me. (just this time because that was one of my warning phrases in #5). P.S. Read more books and listen to more music- sometimes at the same time. Oh yeah, if you have a bad feeling about going somewhere with someone, stay home. Listen to music and read a book. Additionally, you can trust MOST cops. When everything turns to crap and there is nowhere to go, find the police station. We tend to be helpful when people are in need. We won’t ask for your secret stash of cash. Have an awesome and safe graduation season and a safe and pleasant life. 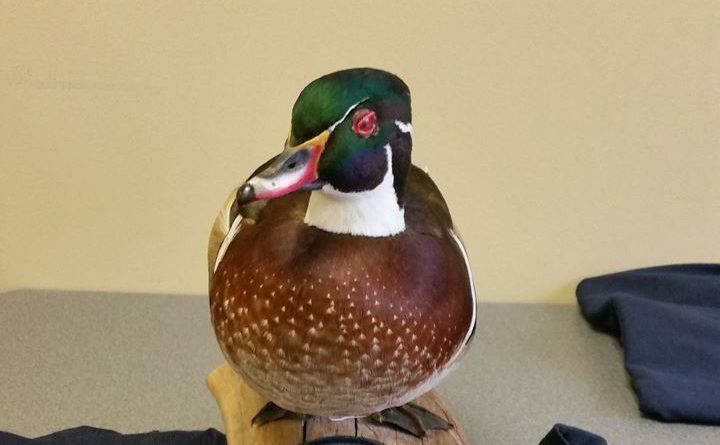 BPD Duck of Justice is published in BDN Maine Weekly on Thursdays. This installment is for June 14.